Points have been easier to come by thus far. The average points in Gameweek 1 and 2 were 53 and 60 respectively. Here is our cheat sheet for the Fantasy Premier League Gameweek 3 fixtures. Included is the percentage chance of each team winning, keeping a clean sheet and the matches most likely goal scorer. 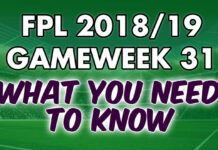 With Sadio Mane’s excellent start to the season, and given the fact Liverpool host a Brighton team who are renowned for poor home form, we have included him as one of the captain contenders for Gameweek 3. The others are usual suspects: Mohamed Salah, Pierre Emerick Aubameyang and Sergio Aguero. Harry Kane is away to Man Utd so we suggest if you have one of these four you take the captaincy off Harry Kane this week. 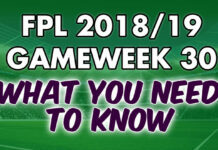 Gameweek 3 is another Gameweek where FPL managers have a lot of good captain options. Goal odds, last season stats and the fixture itself says Mohamed Salah is the best captain choice. Brighton had the worst away form in the Premier League last season. They started off this season with another away defeat to Watford. As a result it is difficult to look past Liverpool for the captaincy. For those lucky enough to have both Mohamed Salah and Sadio Mane then Mane’s three goals already this season will make him a tempting to captain over Salah. Naturally Sergio Aguero coming off a hat-trick will make captaining him a real option once again. The Wolves defence have conceded two goals in each of their opening two games. Liverpool’s hunger for goals (scoring 6 already this season) means we won’t look further than them for the captaincy. Sadio Mane’s form is worth noting but even so we won’t look beyond last season’s FPL top scorer, Mohamed Salah for the captaincy. Despite last week’s hat-trick we decided to overlook Sergio Aguero because firstly he is away and secondly, even after a performance like that, Guardiola is still capable of rotation. Pierre Emerick Aubameyang is another tempting choice but after missing a few good chances in the first two Gameweeks his confidence may not be as a high as it needs to be. He is also at a slight risk of being dropped for Alexandre Lacazette. 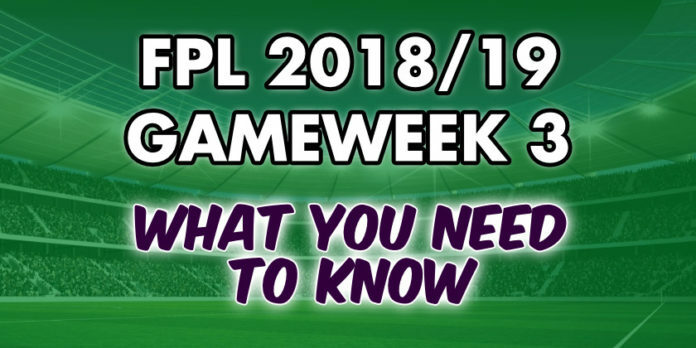 If Man City’s game against Huddersfield is anything to go by it could be a long season for FPL managers that don’t transfer in Benjamin Mendy. Often an explosion of points can justifiably be ignored but we think this could be an occasion where he may become Alonso-esque. This season’s other big performers, Richarlison and Sergio Aguero, are obviously other ideal contenders to transfer in. Henrikh Mkhitaryan at a relatively cheap £7.0m is another good option, Arsenal now have a run of excellent fixtures.